Since the days of the Cold War, the United States has had a plan in place to continue the operation of the government following a catastrophic attack on the nation's capital. 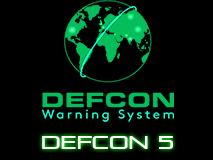 The 2007 "National Security Presidential Directive 51" directs the geographic dispersion of leadership, staff, and infrastructure in order to maintain the functions of the United States Government in the event the nation’s capital is “decapitated” by a terrorist attack. 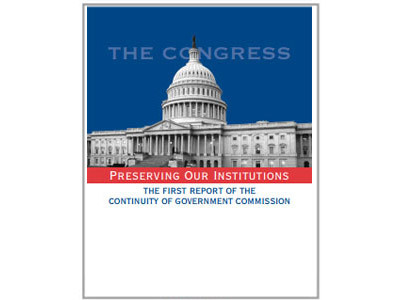 Buried deep within the 102-page National Continuity Plan is the strategy for the mass evacuation and relocation of every federal government agency including The White House and the military in response to an exceptional catastrophic event within the National Capital Region. Each agency is required to have a detailed Continuity of Operations Plan (COOP) in place. Following a catastrophic national emergency, the President, or his successor can authorize the establishment of a temporary "shadow government" to maintain control of the essential functions of the Federal Government. President Bush activated the shadow government on September 11, 2001 shortly after the second attack on the World Trade Center. 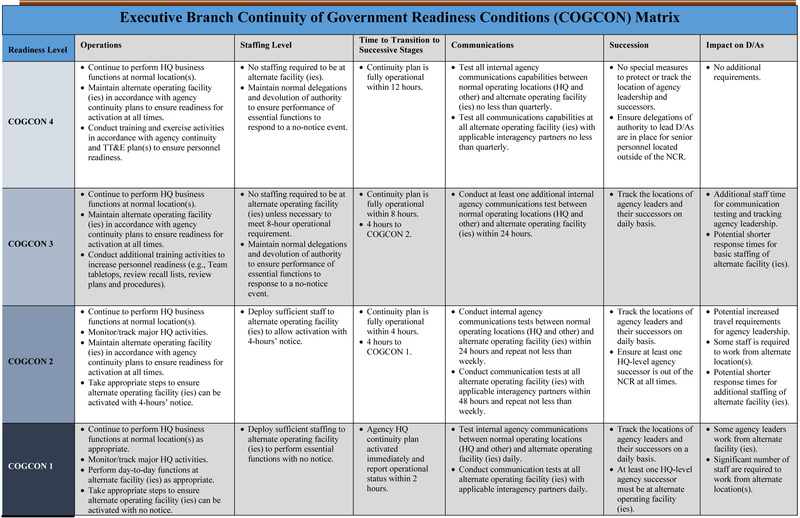 The Continuity of Government Readiness Conditions (COGCON) system establishes executive branch readiness levels based on possible threats to the National Capital Region. The President alone determines and issues the COGCON Level. COGCON 4: Federal executive branch government employees at their normal work locations. Maintain alternate facility and conduct periodic continuity readiness exercises. COGCON 2: Deployment of 50-75% of Emergency Relocation Group continuity staff to alternate locations. Establish their ability to conduct operations and prepare to perform their organization’s essential functions in the event of a catastrophic emergency. COGCON 1: Full deployment of designated leadership and continuity staffs to perform the organization’s essential functions from alternate facilities either as a result of, or in preparation for, a catastrophic emergency. The National Continuity Policy Implementation Plan identifies eight national essential functions which represent the overarching responsibilities of the federal government during a crisis. Orders of succession are also established for each of above Cabinet officials within their own departments. Ten successors residing within the National Capital Region (NCR) and three successors outside the NCR are identified for all executive departments and agencies. Here is an example of a 2013 Secretarial Order of Succession. The President would evacuate via the White House Tunnel System to the Marine One hangar at the Anacostia Naval Support Facility. His ultimate destination would be onboard the E-4B National Airborne Operations Center (NAOB), a highly survivable militarized version of the Boeing 747-200 capable of being refueled in flight. After several days in the air, the President could choose to go to one of the Presidential Emergency Facilities at Mount Weather, Site R, the underground bunker at Camp David, the bunker at Offutt Air Force Base, the new bunker under the Denver International Airport, or other still-classified locations. 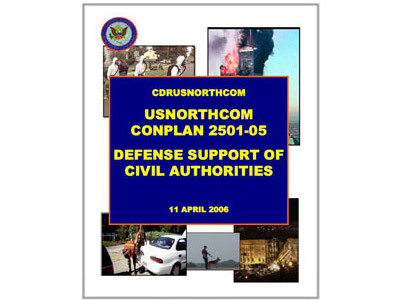 The U.S. Northern Command (NORTHCOM) is responsible for evacuating government officials under the guidance of the classified Concept of Operations Plan CONPLAN 3600: Emergency Preparedness in the National Capital Region. 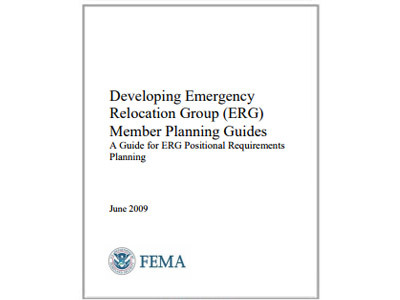 The executive agency and department heads along with designated emergency relocation group (ERG) members would be transported to classified locations around the country above ground, below ground, and at sea. The secret evacuation plan includes a nearby fleet of specialized vans and trucks that can be dispatched on a moment's notice to secret campgrounds located within the Shenandoah Valley and in nearby federal park lands in Virginia, Maryland, Pennsylvania, and West Virginia containing underground hardened facilities with emergency communication systems. An Emergency Action Alert sent by the FEMA Alternate National Warning Center in Olney would direct the 1st Helicopter Squadron from Andrews Air Force Base to the Capitol to evacuate the top congressional leaders to the Mount Weather Emergency Operations Center. The Secret Service would take the Vice President and top-ranking White House officials down into the underground bunker in the White House. Three Air Force C-20C aircraft (85-0049, 85-0050, and 86-0403) based at Andrews AFB are operated by the Presidential Airlift Group (PAG) of the 89th Airlift Wing. The C-20C aircraft are a secret part of the COG program and are designed to move senior executives (Senex) quickly in the event of a national emergency. The three C-20C aircraft are equipped with a comprehensive hardened communication system installed by E-Systems and designed to enable operations in a post-nuclear environment. Whenever the President travels away from Washington, a C-20C is positioned discretely at an adjacent airfield in case the President has to suddenly depart and Air Force One has been disabled. 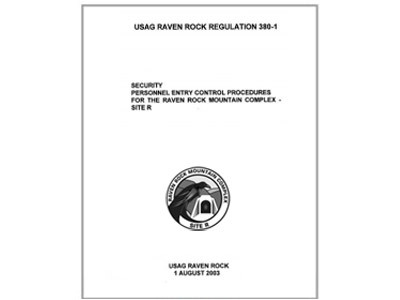 Site R, also known as the Raven Rock Mountain Complex, is located six miles north of Camp David and serves as the Alternate National Military Command Center. The deep underground facility can fully support the Pentagon's mission essential functions including nuclear command and control. Army helicopters are on standby at Davison Army Airfield to evacuate senior Defense officials from the Pentagon to Site-R providing hasty access to the secret facility by following Blue Light and Iron Gate procedures. In 2012, President Obama issued two Executive Orders that will greatly expand the presidential powers in the event of a national emergency. The March 2012 Executive Order gives the President the authority to commandeer all U.S. domestic resources, including food and water, and seize all energy and transportation infrastructure within the United States. The order also allows authorizes the U.S. Government to force its citizens to fulfill labor requirements for the purposes of national defense. The July 2012 Executive Order gives the Department of Homeland Security authority over private communication networks in emergency situations. Every January, U.S. federal agencies quietly prepare for the change in the Continuity of Government Condition (COGCON) level during the annual State of the Union Address. Because the full Presidential Line of Succession is in attendance at this NSSE event (except for a designated survivor Cabinet Secretary hiding out in the White House bunker), the COGCON level for the United States Government secretly drops from Level 4 to Level 3 in preparation for the President's State of the Union Address to our nation. The 25th Amendment defines the procedures for replacing the president in the event of death, removal, resignation, or incapacitation. 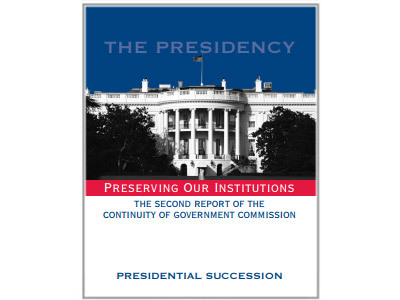 The operational authority for the Continuity of Government was shifted from the civilian Federal Emergency Management Agency (FEMA) to the White House Military Office in early 2009, giving the White House full control over this important national security program. The Assistant to the President for Homeland Security and Counterterrorism serves as the current National Continuity Coordinator. The National Exercise Program consists of a two-year progressive exercise cycle that culminates in the National Level Exercise held in even-numbered years. The 2018 National Level Exercise was "Atlantic Fury" and simulated the coordinated response to a Category 3 hurricane impacting FEMA Region III (Virginia, Maryland, Pennsylvania, Delaware, and the District of Columbia). This exercise was held in May. EAGLE HORIZON: Annual continuity exercise for all federal executive branch departments and agencies. The 2018 Eagle Horizon exercise was held in May. VIGILANT GUARD: Large-scale, multi-state disaster response exercise sponsored by USNORTHCOM and the National Guard Bureau. CYBER STORM: An extensive DHS cybersecurity exercise designed to strengthen cyber preparedness in the public and private sectors. CYBER STORM VI will be held in Spring 2018. NUWAIX: Nuclear Weapons Accident/Incident Exercise tests how well emergency responders can safely mitigate a scenario involving potential damage to a U.S. nuclear weapon in DOD custody. MARBLE CHALLENGE: FBI-led domestic render safe exercises that approximate the complexity of conducting operations on a chemical/nuclear/radiological device in the United States. (Oct 24-25, 2018) The 2017 exercise simulated a terrorist use of an explosive release of sulfur mustard at Kings' Dominion amusement park. The Eagle Horizon exercise requires each federal executive branch department and agency to test their Continuity of Operations Plan (COOP) by deploying their Emergency Relocation Groups (ERG) to secret remote locations where they will perform their essential functions ensuring the preservation of our government. In addition to all executive departments and agencies, the White House offices and senior staff also participate in this exercise. Eagle Horizon uses scenarios such as hurricanes, improvised nuclear device detonations, earthquakes and cyber-attacks. Demonstrate and assess the ability to conduct inclusive post-hurricane landfall response operations and simultaneously conduct inclusive recovery planning activities. 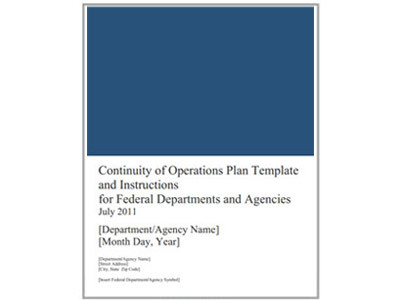 Demonstrate and assess the ability of federal and non-federal government organizations to implement continuity plans and perform essential functions appropriate for incident conditions to sustain National Essential Function. Examine and validate the capabilities to support the energy sector and synchronize efforts to manage the consequences of long-duration power outages and critical interdependencies.